While Ruby, Emerald and Drake head for the village of the Draconids, Ultima attempts to decipher Zinnia’s mysterious scroll. 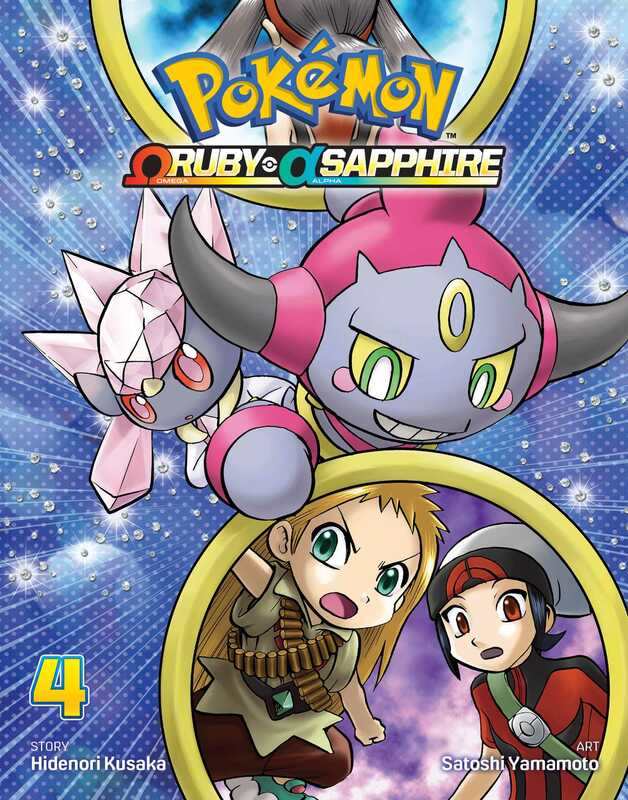 Then, as if the world weren’t in enough danger of annihilation already, Blaise and Amber summon Groudon and Kyogre! The two Legendary Pokémon wrought chaos on the environment the last time they were awoken from their slumber… What will they do this time?! And who will prevent Zinnia from preventing the Devon Corp from blowing up the meteor…? !